ALEXANDRIA, VA (May 19, 2011) - Today the Alexandria Convention & Visitors Association presented the second annual Alexandria Tourism Marketing Summit in celebration of National Travel and Tourism Week. 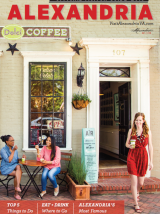 Alexandria&apos;s tourism community learned how to tap into - and increase - Alexandria&apos;s $616 million in annual visitor spending from experts in news media, e-marketing, social media, and hotel sales. Alexandria City Mayor William D. Euille addressed the importance of visitor spending to Alexandria&apos;s economy which contributes $22 million in City taxes annually, a figure equal to 7 cents of the property tax rate. With 3.3 million visitors each year, tourism directly supports 6,000 jobs in Alexandria with a payroll of $111 million. Mayor Euille announced that City Council has increased their investment in tourism sales and marketing by almost $400,000 in the fiscal year 2012 budget, due in part to return-on-investment findings. A recent study calculated $133 in visitor spending for every $1 spent on destination magazine advertising, while the City gained $4 in tax revenue for every dollar spent. With the increased City investment, Alexandria destination advertising will reach nearly 100 million households in the coming year, adding new markets including New York City, Long Island, and Baltimore. ACVA CEO & President Stephanie Pace Brown addressed the impact of tourism nationwide in a keynote address called "Trends in Tourism: The Big Picture and What it Means for Alexandria." Tourism is one of the country&apos;s largest industries, generating $1.8 trillion in economic output, with $759 billion spent directly by domestic and international travelers, spurring an additional $1 trillion in other industries. Tourism supports 14 million jobs, including 7.4 million directly in the travel industry and 6.7 million in other industries. Each U.S. household would pay $1,000 more in taxes without the tax revenue generated by travel. In recognition of tourism&apos;s powerful economic impact, National Travel and Tourism Week is celebrated each year in May, a tradition first celebrated in 1984. Localized events are presented in cities, states and travel businesses nationwide to champion the power of travel. It was established as National Tourism Week when the U.S. Congress passed a joint resolution in 1983 designating the week to be celebrated in May. More information at www.ustravel.org.